The panel board discussions at Careers for Women in Tech and Consulting ﻿were incredibly popular last year. ​Undergraduates and graduates had the chance to hear the opinions and achievements from up to five inspiring women, who worked with or in the technology sector, all selected specifically because they had a different story to tell. Most seminars offer you the chance to hear from one or two individuals. The panel board discussions allow you to hear from the experiences of several senior panelists in one day. They offer a rare chance to meet and question a group of senior professionals and recent graduates on their experiences. They are from a variety of backgrounds and simply want to share their insights into the reality of working with technology or in the technology sector. Marit Thowsen is a Director in American Express Technology focusing on delivering strategic and innovative solutions across the company, currently focusing on how to enhance the user experience and technology across Operations globally. As a Director, she manages a large team of software and quality engineers as well as technical project managers who are taking an Agile approach to delivery of new products and features. Marit has successfully led many large tech initiatives for American Express and has a wide experience both from a Technology and Business perspective. Marit gets energised by new challenges and enjoys making it happen with a diverse tem around her. Her strong leadership, results and work to establish a technology school program for girls led to Marit winning the ‘FDM Everywoman in Technology award’ in 2015.
and held a variety of roles covering Systems, Technology and IT Services. the operational management of all IT Services. and customer service, supporting scientific excellence to deliver life changing medicines and change people’s lives. Rebecca graduated with a 2:1 in Mathematical Science from the University of Birmingham. She joined VMware in February 2016 as a Senior Strategic Account Executive, with responsibility for managing the relationship between VMware’s largest UK Financial Services Customer. Her role is to ensure the wider VMware team are aligned and mobilised to support her customers as optimally as possible. This includes ensuring the existing footprint of VMware technologies and associated teams are well supported and have appropriate access points, alongside making sure we appropriately understand her customer’s wider strategic aims and where VMware can provide additional further strategic value. Prior to VMware Rebecca spent the past 8 years in the enterprise software industry, 6 of those at CA Technologies where she managed various large strategic Financial Services customers. 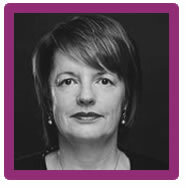 Kerryn is a VP in Design Services in Collaborative Technology Solutions (CTS). As a Lead Facilitator in the Design Thinking Team, Kerryn works with internal clients to solve problems creatively and put users at the heart of the solution. Whilst outcomes from the workshops are usually based in technology, the results could involve processes and people. 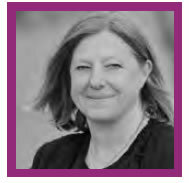 Prior to joining CTS, Kerryn was in HR at DB for 2 years as Career Mobility Consultant for the UK&I, working to embed a culture of cross-divisional mobility. During this time Kerryn had much success in encouraging staff to move internally via careers fairs, mobility forums, networking sessions and 121s. Kerryn is originally from Australia and was a senior recruiter both in the UK and Australia for many years in Banking and Executive Recruitment. 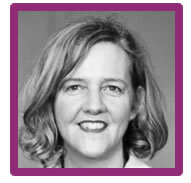 Kerryn holds a Bachelor of Business, from the Queensland University of Technology and holds is a qualified CPA. Kerryn is actively involved with Autistica, one of DBs Charities of the Year, having raised over £25,000 in just over year. She has trekked along the Great Wall of China, abseiled down Broadgate tower, and organised a number of external events. Kerryn has recently tried to take up running, and completed her first 10k in many years this year, with her sights on a half marathon. With 20 years experience as a technologist in the Finance industry, Lucia Pino-Garcia is responsible for developing and supporting global platforms for the JPM Asset Management business as the CTO for GFICC and Global Liquidity. 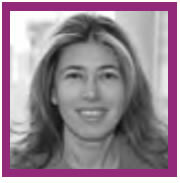 Additionally, as the CTO for Asset Management EMEA Technology, Lucia oversees the Technology roadmap and talent for EMEA. Lucia and her team have been recognized with a number of industry technology awards: for Outstanding Contribution by a Female in Financial Tech (2015 Banking Technology Award), Best Information Technology (IT) Team (2016 American Financial Technology Award), Best Use of IT in Transaction Banking (2016 Banking Technology Award); as well as the JPMorgan Global Technology Innovation Award (2016 Internal Award). Lucia sponsors Asset Wealth Management Tech Diversity as part of her commitment to support and grow diversity and inclusion in the industry. She also has represented the firm as a key note speaker at the external conference Women of Silicon Roundabout in 2017 with a speech title “Supercharge your Career: Advice I would Give my Younger Self. Previously Lucia worked for 15 years in Bank of America Merrill Lynch, in Investment Banking, where she took a number of roles in Fixed Income Technology. Lucia holds a Masters in Computer Science from the University in Malaga in Spain, where she was part of a research group in Cryptography, and she has also been part of the campaign that Spanish Universities launched in 2014 to encourage more students to consider Computer Science degrees as their career of choice. Lucy is an Executive Partner within the Global Business Services of IBM, the world’s largest IT and consulting services company. Recently, she has also taken on the role of leader for IBM’s distribution sector in UK and Ireland, having previously led a service line for the European distribution sector. She is now responsible for a business unit that delivered $250m+ in revenue last year, and will oversee growth strategy and management of sales and delivery for all consulting projects across numerous industries, including life sciences & pharmaceutical, retail and transport. 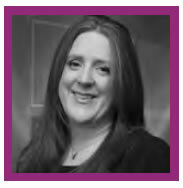 Lucy moved to part time working eight years ago to spend more time with her two daughters; since then, she has been promoted to Associate Partner and then to Executive Partner, and has won numerous industry awards. 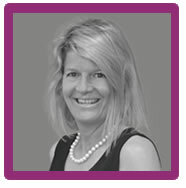 Carol has worked for Salmon ecommerce digital consultancy for over 10 years. 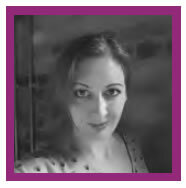 She currently programme manages all the Salmon Magento accounts, supporting the Project Managers and helping to deliver the best possible quality and service for their clients. Following completion of a business and management course, she secured a role with an events company, where she spent 5 years working as a Project Manager, organising and co-ordinating corporate events. 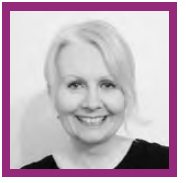 Following a further 3 years study completing an ILM Level 4 course in Learning and Development and gaining her Cert Ed, she spent 10 years teaching management and business studies in colleges and industry. Working more and more in the IT sector, Carol loved the industry so much she decided to join Salmon and use her project management skills to help support some of the biggest retailers in the UK. Laura had an unusual path into technology. She originally studied English and Economic History, and dreamed of becoming a politician. Through a chance digital module in her final year, she discovered an aptitude - and a love - for building software, and the rest, as they say, is history. In her time consulting with ThoughtWorks she has worked in finance, public sector, retail, non-profit, and media sectors - driven by her passion for solving her client's most complex problems. Cheryl is a partner at EY and is responsible for leading the firm’s EMEIA Advisory Centre information and cybersecurity advisory practice. She also serves as EY’s Global Insurance Cybersecurity Leader and GDPR capability. She has more than 20 years of experience in information security, data centre transformation, technology risk, data security, business continuity, data privacy, IT resiliency, data protection and risk transformation programmes. 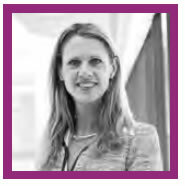 She joined EY in 2014, having previously been Global CISO in an oil and gas organisation, Security Advisor on the UK Smart Metering Programme and responsible for security, technology and risk transformation programmes within financial services organisations. © Copyright Pinpoint Graduates 2018. All rights reserved.